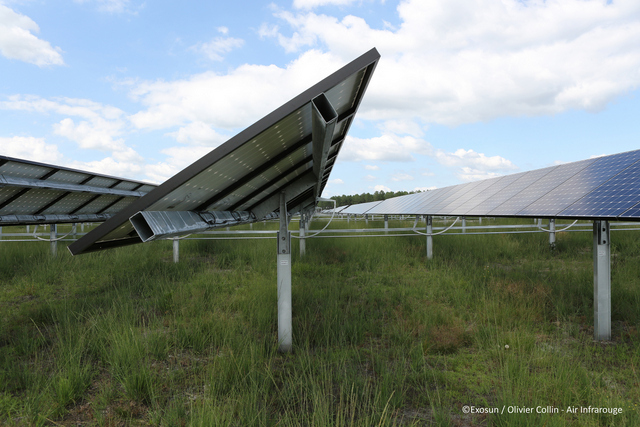 Exosun, a provider of solar tracking technologies for utility-scale ground-mounted solar plants, has inked a contract with a major clean energy producer to supply and install its trackers on a 6.8 MWp PV plant located in the North American state of Oregon. The solar plant, installed over 40 acres of high desert land, will be equipped with 44 Exotrack HZ horizontal single-axis solar trackers. They will support 21,964 PV modules, orienting them toward the sun throughout the day to significantly increase energy yield. In order to lower transportation costs and time, and contribute to local employment, the majority of tracker components will be manufactured by American and Mexican suppliers, rigorously selected by Exosun. Tracker installation, executed by Exosun, will begin in September 2015, with commissioning planned for November 2015. On September 15, 16, and 17, Exosun will be exhibiting at the Solar Power International trade show, Anaheim convention center, California, booth #5510.